Excellent. Most large-flowered hyacinths are hardy to -32C (-25F). Tulip, Lily, Daylily and Echinacea. Showy and fragrant, hyacinths make great feature flowers in the spring garden. Their naturally upright posture gives them a formal demeanour. Planting hyacinths behind daylilies or other summer-blooming perennials hides the fading foliage from view. Set out dormant bulbs the autumn. Cover the bulbs to four times their depth with loose soil. Plant in groups of three or more bulbs. 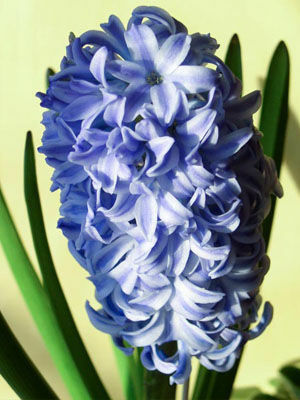 Hyacinths can be interplanted with daffodils and tulips, and they are not difficult to force into bloom in pots. Blue is the strongest colour, but many others are available. Cut hyacinths to use as cut flowers when two to three of the lowest florets have opened. The remaining florets will continue to open indoors for several days. As the flowers fade in the garden, trim them off with scissors or secateurs.